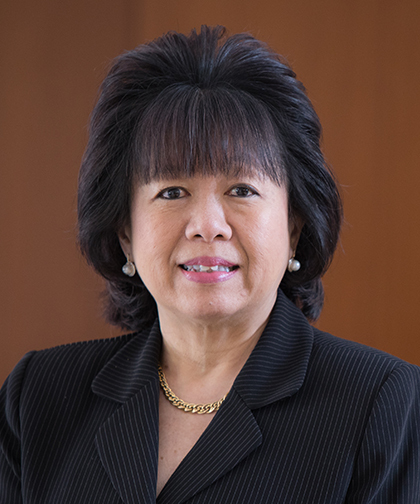 Judy Yee, MD, FACR, is the University Chair of Radiology at Montefiore and Professor of Radiology at Albert Einstein College of Medicine. Dr. Yee attended the Bronx High School of Science and then Barnard College of Columbia University. She received her medical degree from the Albert Einstein College of Medicine, and performed an internship at Mount Sinai Medical Center. Dr. Yee then returned to Einstein and completed a residency in Radiology. She performed an abdominal imaging fellowship at the University of California, San Francisco (UCSF) Medical Center and was then recruited to stay on as faculty. During her tenure at UCSF, Dr. Yee became Professor of Radiology and Biomedical Imaging and Vice Chair of Radiology. She also served as the Chief of Radiology at the San Francisco VA Medical Center. Dr. Yee’s research focuses on colorectal cancer screening and early detection using a novel technique she has helped to develop called virtual colonoscopy or CT colonography. Dr. Yee has published extensively, having produced more than 130 articles in peer-reviewed scientific journals, with another 120 abstracts and she has served as the principal investigator for many funded research projects. She has published 23 book chapters on the subject of gastrointestinal and abdominal radiology. Dr. Yee is the editor and primary author of Virtual Colonoscopy, which is one of the main textbooks on the topic. She holds a patent on Enhanced Virtual Colonoscopy. In recognition of her renown in the field, Dr. Yee has been an invited speaker at numerous national and international conferences. Dr. Yee holds leadership positions in major radiology organizations. She served on the Board of the Society of Abdominal Radiology (SAR) and was the President of SAR from 2015-2016. In this role, Dr. Yee started multiple new initiatives for SAR including the Development Fund, the Mentorship Program and the Hall of Fame. She currently serves as Chair of the American College of Radiology Colon Cancer Committee and Chair of the RSNA Gastrointestinal Refresher Course Program. She serves on the Editorial Boards of RadioGraphics, Abdominal Radiology and JCAT and has also served on the Editorial Boards of both Radiology and AJR. She is Co-Chair of the Diversity and Inclusion Committee for the New York State Radiologic Society. Dr. Yee is a well-respected educator, having instructed and mentored numerous trainees in abdominal imaging. She is the recipient of multiple awards including the Excellence in Teaching Award from the Academy of Medical Educators, the Visiting Professorship Award from the Society of Gastrointestinal Radiologists, and the Best Speaker Award of the American Roentgen Ray Society. She is the recipient of the Inaugural 2015 UCSF Outstanding Faculty Mentoring Award. She is awarded Honorary Fellow of the European Society of Gastrointestinal and Abdominal Radiology, the sole recipient from the United States to receive this honor in 2019.